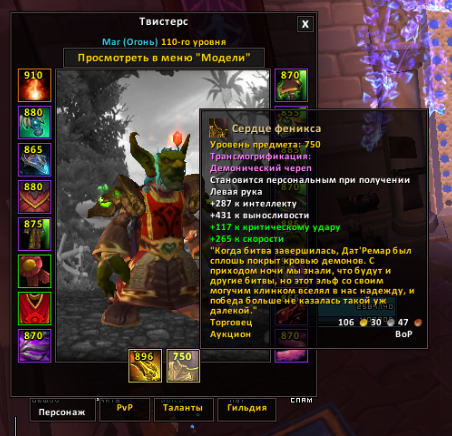 Just look at itemlevel of artifact offhand. I also wanna add that there is a really well-written addon that properly sets all item levels. The It looks like we have to have tooltip scanning. 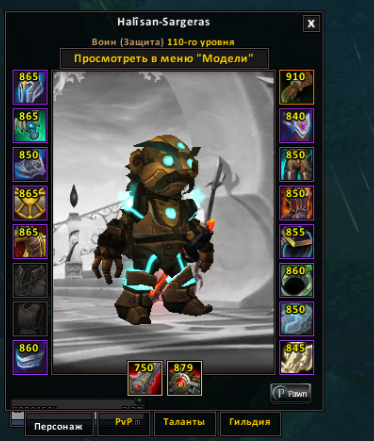 This addon show true item level for warroir tank artifact shield? And what about heirloom on low level players? It show item level only for your player or target inspect also? Only for player. Tooltip scanning not working for inspect player heirloom and off-hand artifact. Tooltip shows 750, I tested it. Need some workaround. Maybe we can look on how we worked around this. Showing wrong artifact item level for target, if artifact relics not cached. Need reopen inspect frame. Updated file. Added workaround artifact inspect detection. Всмысле пока не открыл? Это файл не для итем левела тултипа, только в окне персонажа и инспекта. Или ты про 750 илвл артефакта? А что тултип писал для мейнхенда? Reworked to scan tooltip. Show correct, as I testing. For bags not done yet.